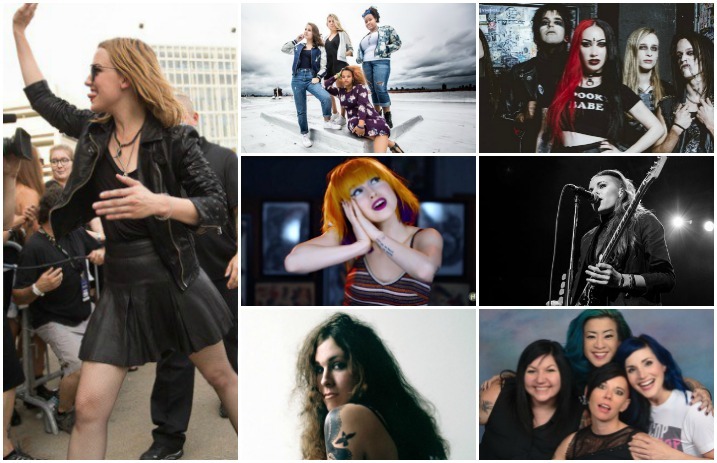 It’s International Women’s Day, and in honor of that we are celebrating the tons of inspiring and badass women in the rock and alternative world. In the past, when AP has published pieces about the necessity of women’s voices, we have found our comment sections full of passionate voices telling us to “just go make a sandwich” that there simply “aren’t a lot of women in bands.” So here is a list of more than 100 bands that feature women. By no means is this an exhaustive list, merely an effort to make the point that whether it’s in stadiums or dirty basements, there are many talented and amazing women making their mark in alternative music.